A new review in the magazine "The Independent", from Taberna do Mercado, the new restaurant from the Portuguese Chef Nuno Mendes. "In the modern way, everything arrives simultaneously, so that when the hot dishes are ready, you haven't had time to scarf down all the cachaco. 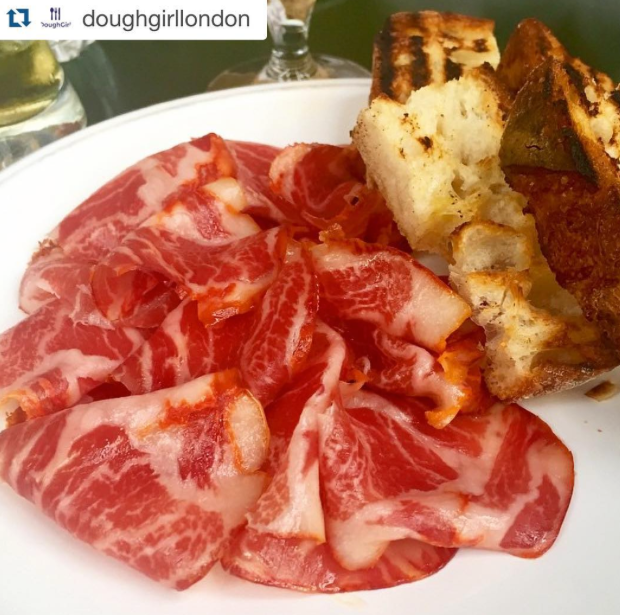 This is cured meat from the classy Bisaro Salsicharia supplier of Braganca – the Ginger Pig of Portuguese charcuterie. It's wonderfully soft and piquant, somewhere between salami and chorizo, and goes brilliantly on the Taberna's toasted sourdough". You have to go there and tasted yourself.